This is not an interstate kind of a story; it’s a back road drive with a raconteur at the wheel. There’s a wonderful pot in a remote place, and it takes a bit of a hike and some excavation to find it. Brush off another layer, and there it is, an intact marvel of original workmanship. The old pots which the narrator, Hubie Schuze, admires were made by hand, not on a wheel, and their shape shows it. Not perfect—and not meant to be. That’s part of their character. This book is not shaped like a standard mystery novel, either. Don’t expect it to be. Just ride the back road. Hubie knows where he’s going (though you may wonder about that at times). The prologue takes off like a rocket. Then, during the first few chapters, new readers may go through what I’ll call “orientation to Hubie,” getting used to the flow of his entertaining and often educational ramblings on topics historical, artistic, culinary, and unclassifiable. (Established fans of the series already enjoy this as much as solving the mysteries.) If you’re new to the Pot Thief and decide to start here, don’t worry, keep reading. 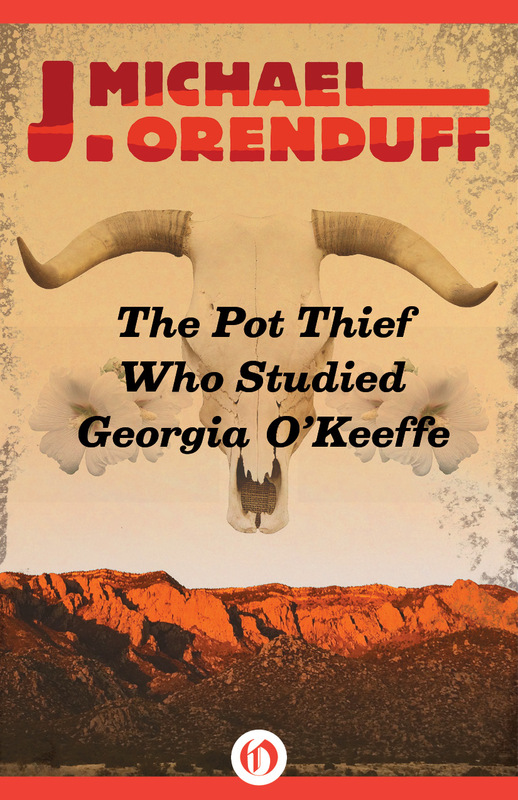 Once Hubie gets out in the desert to illegally “rescue” an ancient pot, the story, his character, the setting and his deep reverence for the artifacts he finds and sells come together into a lively, colorful tale that’s both a clever mystery caper and a sweet, delightfully off-beat love story. There’s a lot of wordplay, for fans of that type of wit. However, the humor I liked most in this book was that which came authentically from characters and situations, and there’s plenty of it. Hubie’s sincere and awkward attempt to put his girlfriend at ease in a delicate situation is hilarious, all the more so because it comes from his heart. A sudden turn of events near the end is so perfectly timed and phrased for comic effect, I think my neighbors heard me laugh when I read it. The New Mexico landscape and locations—from Albuquerque to Truth or Consequences to the vast emptiness of the White Sands Missile Range—are portrayed well. Hubie’s idiosyncratic meanderings are part of the New Mexico feel of the book. I can easily see him in the mini-park in the median in Truth or Consequences across from Black Cat Books and Rio Bravo Fine Art. I can’t decide if he would get on my nerves or amuse me if I sat with him—probably both—but he fits perfectly. (There seem to be a lot of smart, eccentric, single, middle-aged men in T or C.) Orenduff has created a unique character in Hubie, and his own style of mystery—intelligent, non-violent, and funny, with the murder aspect secondary to other puzzles. The red herrings are effective, the clues are laid well, the solution is surprising, and the end is satisfying. Next week I’ll have an interview with the author, J. Michael Orenduff. This is a wonderful review!